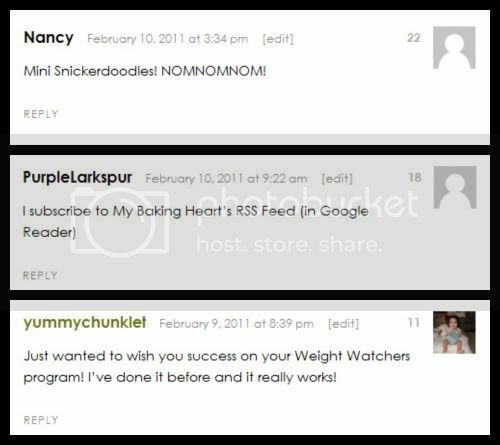 Congratulations to the following three lucky MBH readers, who’ve won FREE cookies from MI-DEL!! Nancy, PurpleLarkspur & yummychunklet: keep an eye on your inboxes for an email from Deanna, Outreach Coordinator for MI-DEL!! Shoot! I missed the contest! By the way, I’ve awarded you the Stylish Blogger Award! Congratulations! http://www.napangel.com/2011/02/16/stylish-blogger-awards/.